Where Loyal Hearts are all embraced. Shadow was a gentle soul. He always put the well being of other furry family members above his own. We always called him the "Daddy." He always let the others walk in front of him; sometimes under him. He never minded when they would interrupt him in order to eat from his bowl. Whenever he played tug-of-war he would always let them win. And he always tried to keep their faces clean. Shadow was a loving, nuturing pup. He wasn't demanding, and he never once complained. He never seemed to require alot of attention like some pups do. Yet always close by for alittle pat on his head, or a scratch behind his ear. He seemed to convey a genuine sense of gratitude for his lifestyle. 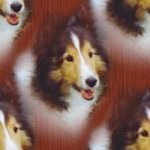 He was simply a beautiful dog. Not only physically but spiritually. He was definately a diamond, already polished. 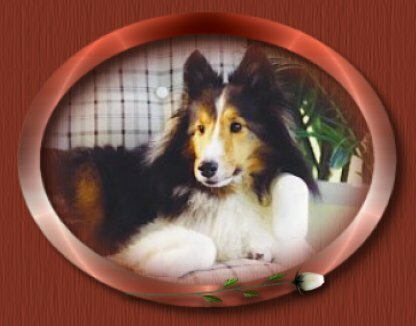 A very special thank you to Francine Pucillo for the writing of Shadow's beautiful poem. 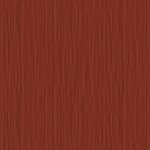 Be sure to visit Francine's website "Poetry Emotion By Francine." There you will find many wonderful, heartfelt poems that will nourish your soul. 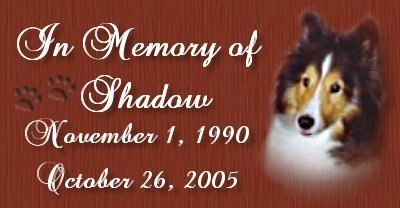 This page is dedicated to all the beautiful memories of Shadow created by Marvaline, Shadow's Auntie "M," to help comfort the heart of my dear friend Helen, Shadow's Mommie. Midi: "Here To Comfort You"